Dr. Elham Partovi is a general and cosmetic dentist. She has received her Doctorate Degree of Dental Surgery from University of Southern California, USC , and her Bachelor Degree of Biology from California State University Northridege, CSUN. Dr. Partovi enjoys helping her patients to attain a healthy and beautiful smile. She treats her patients like members of her family with her high quality of care, gentle touch and enthusiasm. During her career, she has helped many people gain back their confidence and move on to getting hired at their desired jobs, by giving them a bright and healthy smile. 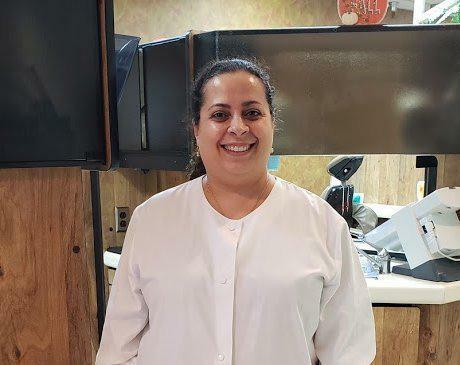 Dr. Partovi continues her education by taking continuing education classes at ADA approved courses to keep up with the ever advancing technology and science of dentistry. Amongst the many certificates that she has received through these continuing education courses, she is now certified for Invisalign (wireless braces) and Cerec (3D technology that enables her to fabricate and deliver crowns in the same visit). Dr. Partovi is a former faculty at USC School of Dentistry, emergency clinic, where she has taught the dental students how to alleviate patients pain and emergency safely, effectively and in a timely manner.